NEVER UNDERESTIMATE THE IMPORTANCE OF A WELL-TAKEN AUTHOR PHOTOGRAPH. It can make or break a book, especially in an overcrowded literary marketplace where good writing is not the sole criterion in the reader’s buying decision. Yes, we are talking about the professionally-taken photographs of authors you see on the flaps or back cover of books and publicity stills. Miriam Berkley is a New York-based freelance photographer who specialises in capturing authors at their very best for books, newspapers, magazines, websites and blogs. She has photographed authors like Chinua Achebe, Chimamanda Ngozi Adichie, John Ashbery, Margaret Atwood, Vikram Chandra, Susanna Clarke, Charles Frasier, Romesh Gunasekara, Ha Jin, Stephen Hawking, Aryn Kyle, Doris Lessing, Astrid Lindgren, Norman Mailer, David Malouf, Dinaw Mengestu, Denise Mina, David Mitchell, Grace Paley, Orhan Pamuk, Arundhati Roy, José Saramago, Preeta Samarasan, Mark Slouka and James Wood, among other literary luminaries. She photographed Orhan Pamuk in Sweden a few weeks before he was awarded the 2006 Nobel Prize for Literature. 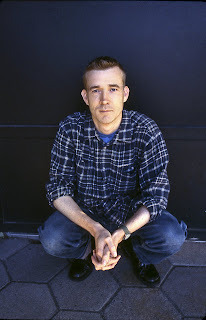 Her colour photograph of David Mitchell crouching adorns the jacket of Black Swan Green and has been published in many magazines and newspapers. Her photograph of Susanna Clarke embellishes the back jacket of the British edition of Jonathan Strange and Mr. Norrell. Berkley recently spoke to us from her home in New York City. Tell us about yourself, your parents and your experience with the camera. When I was a child, in the pre-digital mid-20th century, photographs were not as ubiquitous as they are today. I always loved looking at family photographs; browsing through the album with my mother was a treat. No photographs hung on our walls or sat on the furniture as they do in my own home today. There are only a few images of me from childhood, including two from my junior high school graduation. We saw photography, I think, as for special occasions. Instead I drew, and, since elementary school, read voraciously. My family owned one photography book, The Family of Man, which grew out of the famous Museum of Modern Art show of 1955 curated by Edward Steichen. The thematically-grouped, black-and-white photographs of people around the world made a vivid impression on me and, I believe, influenced my approach to photography, which is basically a humanist one. My parents, although not by training, were both published writers. My father, Joseph Samachson, with a Yale PhD in chemistry, for many years wrote comics and science fiction under pseudonyms—“William Morrison” was one; I did not know it then, but he created the character Martian Manhunter and wrote episodes of Sandman in the 1940s and Batman in the 1950s. My ballet-pianist mother, Dorothy, who sometimes took me to classes or rehearsals when I was too young to appreciate them, wrote books with him for young adults mainly on the performing arts, beginning with one on ballet. I was fascinated by the stills of dancers and theatrical personalities used in their books, but never dreamt I would myself work in an allied field. I liked performing but was discouraged from considering a performing career; I thought I was headed for medicine, perhaps psychiatry. In my teens I travelled from the Bronx, where I lived, to high school in Manhattan via subway and I remember staring at the people around me on the train. My early fascination with faces has never ended. At college I took classes in drawing and art history, but none in photography. I did not even know such courses existed. I had access to a camera but used it infrequently, until I first set foot in a darkroom one weekend away from home and learned the rudiments of darkroom work. I loved taking photographs, especially now that I knew how to develop them. Still, although it was an interest, it played a very small part in my life until I was in my 2os and spent a few months in Israel, where I shot large quantities of film, which I bought in large rolls, loaded onto reusable cartridges, and processed in the darkroom of the kibbutz where I was living. A friend bought me an introductory book about photo technique and I used it to teach myself the basic principles and techniques of photography. What made you decide to become a full-time photographer? My path to full-time photography was a long and circuitous one. After college I taught for a year in a New York City elementary school, got a Master’s degree in education, and then taught for a while longer. But I had always been a huge reader, had in my early twenties written a lot of poetry, took a prose writing class with the British novelist Penelope Mortimer in 1975, and I wanted to do some kind of work involving literature. I published a few unpaid book reviews in a now-defunct feminist newspaper and armed with a few tearsheets was able to get my first paid assignment from The Chicago Daily News. This led to other reviews and then interviews, both for that paper and other large major American newspapers and magazines, including Publishers Weekly, the leading trade magazine of the publishing world. I was also getting more involved with photography and I bought an enlarger and set it up in the kitchen of my apartment, using my bathroom for my photo trays and chemicals. I had been taking an acting class and photographed a few of my fellow actors for their head shots. I found a publishing job, put away the enlarger, and worked acquiring books for reprint, soliciting and editing introductory material, and writing promotional copy. I also had to lay out small advertisements. I kept on writing freelance literary journalism and also expanded my photography. I was hired by the newspaper of a large city union to cover some events and would bring back not only images of keynote speakers or panels, but portraits of people in the crowd, as it was always faces that drew me in such situations. One morning I was called by a photo agency just before I left for my publishing job. They wanted me to photograph two well-known singers; I did and then went in late to work. On occasion when I did an author interview I brought my camera with me, but this was rare and usually only if there were no good existing photos of the author and the assigning editor wanted a picture. Also, the book editor of the Chicago paper I wrote for occasionally came to New York to do interviews himself and he would invite me along to photograph his subjects. I was torn for a long time between writing and photography. I had also been posing as an artist’s model for a painter, an older man with strong literary interests, and he would encourage me to write but would say dismissively, “Everybody’s a photographer.” My mother was proud of my writing but encouraged me to get a full-time job; with my photography she was out of her element and did not know what to say—so kept silent. 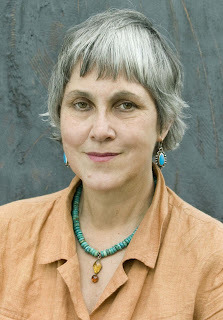 In 1984, on the basis of some of my interviews, I was named a “Scholar” in the area of nonfiction at the venerated Bread Loaf Writers’ Conference in Vermont, but I had already gotten somewhat tired of writing interviews, and knew I wanted a change. I took a number of photos while I was at Bread Loaf and two of them, including one of the writer Stanley Elkin, were published as author photos on book jackets within the next year. I went to the big International PEN conference of 1986 and both wrote about the conference for The Cleveland Plain Dealer, and, after the first day or so, moved up to the ranks of the photographers and began photographing the writers on the stage. A few of my photos were bought for publication by a Swedish journalist writing about the conference. Then in 1987 I went to the Frankfurt Book Fair. I had been planning to stop in London on my way home to interview a number of British literary agents for an article for Publishers Weekly. But in Frankfurt I met the Art Director of Jonathan Cape, and over drinks I showed him some of my photographs. He told me to call him when I was in London, which I did, and he gave me two writers to photograph. 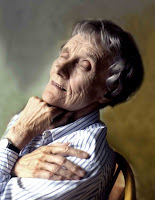 One of them was Doris Lessing whom I had admired for years and was excited to meet—and the photographs for this shoot were used on a variety of book jackets in England, the United States and other countries. I never met with the literary agents. My career as an author photographer got a boost in a most serendipitous way on the plane ride home from London. I sat next to a handsome young man, whom I kept glancing at because his profile made me think of a young Al Pacino. We introduced ourselves. He was English and on his way to New York to meet a publisher; I told him I had recently begun photographing writers. We talked for at least half of the transatlantic flight, until he had to get some sleep before his early morning meeting. He turned out to be the author of books and comics and knew a lot of science fiction and other writers. He raided his address book for names and contact numbers, which he gave me on the spot, and promised to put me in touch with other writers when I returned to London some months later. He was true to his word. 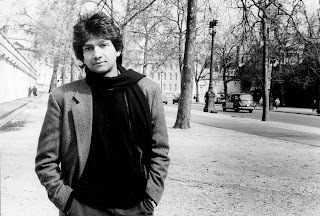 His name was Neil Gaiman, we became friends, and through him I met and photographed a host of British science fiction illuminati, both established and up-and-coming. I photographed Neil a few times early on, and through him met fantasy writer Colin Greenland and eventually, through Colin, Susanna Clarke, whom I shot quickly one afternoon outside their house in Cambridge, although the book she was working on was yet to be finished. In 2004, when Jonathan Strange and Mr. Norrell was published, my photograph of Susanna Clarke was on the British edition; I later licensed it to a number of other countries as well. Meanwhile, I continued to publish my writing for a couple of years more, but by 1989 I had stopped altogether. That year I returned to Bread Loaf for two days and photographed 23 writers, including a poet named Wyatt Prunty, who spoke to me about a new writers’ conference (Sewanee) he hoped to create in Tennessee, and for which he thought having a portrait photographer around would be a good idea. The Conference opened in 1990 and since then I have been photographing writers there every year. Nowadays, when I speak to someone—anyone—even in quick conversation, I mentally begin to study them as if I were to take their portrait, looking for their best angles and expressions. Luckily, because it permits me to photograph someone when necessary in literally a few minutes, the camera’s many eyes—each lens sees differently—have become an intuitive part of me. What is the difference between what you were doing then in journalism and what you are doing now with photography? In my reviews I had to evaluate a book and try to place it in the context of the author’s body of work. I would read not only the book I had to review, but also the writer’s earlier books and some critical material about them. For interviews—I also did a couple of photographer profiles as well as interviews with writers—the intention was to create a portrait in words, although nearly always the editor would want a photograph as well. In fact, the policy of Publishers Weekly was that the week’s interview had to have an accompanying photograph in order to run. This was a problem when I interviewed the Pittsburgh mystery writer K.C. Constantine, who wrote under a pseudonym in a small town and whose cover would have been blown if his image appeared. The editor and I solved the problem by having me photograph a painted shadow of a man that had been appearing recently on New York City walls. The work was time-intensive, as I would read the new book that led to the assignment in the first place, and as many of the author’s earlier books as possible, earlier interviews and whatever biographical and critical material I could find. By the time I wrote my last interview I had begun writing on a word processor, but nearly all of the research was still manual, I was not yet part of any kind of on-line world. I acquired shelves of reference works about books and writers, and spent a fair amount of time at the public library. Preparing for the interview was interesting, the interview itself was usually fun, and the writing afterwards was tough, as I had to first transcribe the interview and then assimilate masses of information into a coherent piece of a set length. I did a lot of crossing out, writing in, and cutting and pasting—not as we do it on a computer today, but with actual scissors and tape—and I always wrote long, as details about lives have always interested me. Still as I began to write my material cohered into a point of view, into my portrait of that writer. It is, of course, much quicker and easier to look at a photograph than it is to read an interview or even a review, and with my photographs the feedback was greater and more rewarding emotionally. I would work very hard on an interview, get approbation from the editor when I turned in the piece, and then it would seem to sink into a black hole, especially since I was writing largely for major but regional newspapers in cities where I did not live. Even if the piece appeared in PW I rarely heard from readers unless I happened to be at a publishing party around the time the piece appeared. Photographs, on the other hand, were more fun to take, and met with immediate and wider attention. When I began, I mainly used a lab for processing and prints, so my work was pretty much done when I took a photograph. In the last few years I have gone increasingly digital, and now I shoot very little film. Although digital photography has many rewards, it is also more time-consuming than people realise to download files, process them and protect one’s images from unauthorised use. Today’s lenses are so sharp that they pick up blemishes that older lens did not—but such things can also be easily corrected, and just about every photograph one sees today has been digitally manipulated in some way. Even if the photograph was shot on film it will nowadays have to be scanned and then corrected. And since images can be sent so quickly the pace sometimes is quite hectic—a publication may change a story or add a review at the last minute because it knows it can and then the editors want something immediately. n When I photograph someone I tend to shoot a lot: many different expressions; different poses; different outfits when possible; a change of background; another kind of light. Outdoor light is always changing and photography is all about light. I carry a camera as I walk around New York these days, and when I photograph people in the street I can be quite free, as I do not have to please them. We all have many faces, and how we appear depends on the light in which we are photographed—our mood, the skill and sensitivity of the photographer, many different things coming together in an instant. We all have images of ourselves, often years behind how we actually look, and we often know how we want to look. Once a series of photographs is taken for an author picture there is a lot more choice involved, and more rides on that choice, than in a written article, where all of the material moves the piece in a certain direction. What I have not done yet, but would like to do, is have more than one image of a writer on the jacket, perhaps a profile and a forward-looking shot, as we all have so many different visages. Usually, a choice is made that is dependent upon the merit of the photograph and its perceived ability to present an author in a sympathetic way to its intended audience. My bedside table does not have books on it—there is simply no room for books on the small table!—but it has clipped newspaper and magazine articles, odd bits of mail I have to deal with, schedules of upcoming events from various cultural organisations. Books are on the bed itself with spill-over on the floor. I have just finished reading Yasmina Khadra’s The Attack. More recently, I began Min Jin Lee’s Free Food for Millionaires. Also on my list is Montreal writer Rawi Hage’s De Niro’s Game, which I reserved from the New York Public Library after reading about its nomination for the International IMPAC Dublin Literary Award. I am dipping into the crime anthology, Chicago Blues, and an anthology my science fiction editor friend David Hartwell just gave me, The SFWA European Hall of Fame. Then there are a number of photography books, in particular books on Photoshop, the photo software now used all over the planet, on photographic lighting, and, to better understand light, a college physics textbook I picked up not long ago that deals with the subject. Unfortunately I don’t have as much time for reading books as I would like to. I also subscribe to dozens of magazines. Were there any books that changed your life? I am not sure I could say there are books that changed my life, but there were books that impressed me powerfully and whose characters or settings resonated with me at the times that I read them. I think it was the books I read in youth, when I was most impressionable, I felt most deeply about. Early on I loved Louisa May Alcott’s Little Women and Jo’s Boys—I don’t remember how old I was when I first read them—and a novel called A Girl of the Limberlost, by Gene Stratton-Porter, which was in my summer camp library when I was about twelve. Although I have for most of my life lived in a large, crowded city, I found that novel, which has a woodsy setting and conveys an intense love of nature, tremendously seductive. In high school we read Fyodor Dostoyevsky’s The Idiot in senior English class (which should really have been called ‘Literature,’ not ‘English’), and I later read many of Dostoyevsky’s other novels, most, I believe, in English translations by Constance Garnett. Jude the Obscure, dark and heartbreaking, impressed me in freshman college English at sixteen, and remains my favourite Thomas Hardy novel. When I was seventeen or eighteen I lived for some time in the imaginative world of Nobel laureate Romain Rolland’s bildungsroman, Jean-Christophe, in the huge Modern Library edition. In senior year in college I took a class called “Philosophy in Literature” and was introduced to Franz Kafka’s Metamorphosis and Camus’s The Stranger; I went on to read all the other novels by Albert Camus I could lay my hands on. I also sat in on a class at Cornell—I did not take it for credit, just out of interest—given by a Pakistani-born political scientist that dealt with what was then, I believe, still called “Third World literature,” and fell in love with Chinua Achebe’s Things Fall Apart and No Longer at Ease, which gave me my first glimpses of the African continent, and R.K. Narayan’s The Man-Eater of Malgudi (I later read many of Narayan’s other novels). During my college years—but not for school, I was a psychology major and was not reading fiction for school—I read a lot of B. Traven, the mysterious German-born writer who spent many years living in and writing about the oppression of Mexican workers. Later, living in Sweden for a couple of years, I loved Han Suyin’s The Mountain is Young, a love story set in Kathmandu, which I picked up in the English-language section of a bookstore in Gothenburg; read the memoirs and novels of Simone de Beauvoir, the novels of Doris Lessing, a couple of novels in French by Françoise Mallet-Joris, and other assorted books. At one point I gobbled up Anaïs Nin’s memoirs but by my late twenties I was no longer enamored of her intense self-absorption. Still, I liked her book, The Novel of the Future, and went on to seek out the writers she enthused about there: Maude Hutchins, Djuna Barnes’s Nightwood, Anna Kavan, among others. I read rather a lot of Gertrude Stein, as well as Henry Miller. I also read poetry. I loved Stephen Crane, better known for his anti-war The Red Badge of Courage, the poetry of Edwin Arlington Robinson, Lawrence Ferlinghetti, and a number of European poets whose works I bought in British paperback editions: Czeslaw Milosz, Zbigniew Herbert, Hans Magnus Enzensberger and Eugène Guillevic, among others. Some of these writers I photographed many years later. I don’t think there was a single work of literature that changed my life. If any book did, it was probably The Family of Man. What types of authors fascinate you? All sorts of writers, although my tastes tend towards literary fiction and nonfiction, crime novels that transport me to new places, especially exotic landscapes, works of history, biography and memoir. Plot is important but character is of much more interest to me. Some years ago I read a lot of literary memoirs. I don’t like reading about violence and avoid novels about serial killers. I like works that use language creatively or playfully, that open a new world or give me a different perspective on things. How can your pictures tell a story about the writer? I find character in faces. The story is everywhere in the photograph, especially in the eyes. I choose attractive angles and interesting expressions for the person I am photographing, but I try to stay true to who the subject is, gestures he or she might actually make. In my photographs people look good but are always recognisable as themselves. I don’t think it is necessary to have read someone’s work to photograph well if you have the right aesthetic and emotional instincts. I have photographed many writers immediately upon meeting them and without knowing their work beforehand, and created images that resonated with them. A different image from a photo-shoot may tell a different story. That is why it is sometimes very difficult to choose among the photographs for a book jacket: what story does one want to tell? This is a decision made initially by me, but then ultimately by the author of the book and by the publishing team—editor, publicity or marketing people—who decide how to publish and market the book. Tell us about a strange thing that happened during a photo-shoot. Although nothing very strange happened during photo-shoots, I have had a few odd experiences. I photographed Patricia Highsmith many years ago in Soho Square, London, and I was almost hit by a truck that had jumped the sidewalk as it turned a corner. I had been speaking to her and was not paying attention to the traffic around me, which sometimes happens when I am photographing on the street. She pulled me back—so you might say that Patricia Highsmith saved my life! What’s your best achievement, a photograph that elicited a powerful reaction from people? It is hard to choose just one image. Sometimes I have many images I love of a writer but one is bought for use with a book and that is the one people see. Two early photo-shoots that yielded very good images were of Doris Lessing and Stephen Hawking. 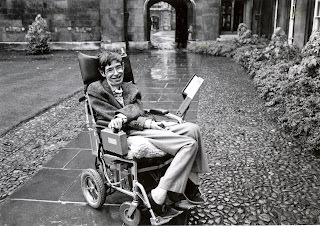 My favourite of Hawking was shot in a horizontal format, although when it was used for publicity for the first American edition of A Brief History of Time, it was cropped and sent out as a vertical image with a fair amount of its Cambridge background removed, and some publications published only Hawking’s smiling face, which was a very small part of the entire image. A few years ago I, photographed the young American writer Aryn Kyle, and although she loved that image, as did her publishers in different countries, I actually took many photos of her and I like many of the other images as well, some of them in colour. The thing about author photographs is that (unless one has an exhibition of them—which I have had, fortunately), no one asks to see the photograph when there is no book coming out or article about the writer; some external thing must occasion a photo request. So there are many images in my archive that I love but that have never been seen. What kinds of details should people look out for to identify the aesthetic value in a photograph? Aesthetic value is, of course, partly in the eye of the beholder, but I think there are certain things that one could generally state as true. Details to look for lie in the answers to such questions as: whatever the photograph is of, is it interesting, do we want to look at it? Do we know in fact what the subject of the photograph is, is it clearly or cleanly presented, well-balanced, or are there all sorts of distracting elements, so we do not know what we’re looking at? Are the tonal values of the image pleasing? Is the photo’s appeal sensational or does it convey real emotion? We can often see the aesthetic value of a photograph even if it is not to our personal taste. If you show a series of photographs to a roomful of people there will be agreement as to which are good photographs and which ones are not. Why is an author’s photograph important? There are several senses in which an author’s photograph may be important or not. In principle one might say it is not important, it is what’s on the page that matters, not what the book’s author looks like. But human beings are wired in such a way that looks do matter—studies with babies have indicated that attraction to beauty is instinctive—and we want to know what an author looks like and may buy a book based upon whether or not we like the way he or she appears in the photograph. When we read a book, whether fiction or nonfiction, we often turn to the author photo to compare the face we see with the voice we hear. We often feel cheated if there is no photograph. Years after reading a book we can often visualise the jacket photo. These days a good author photograph on a book jacket—and the author photo will also be used for publicity—is especially important if one expects the book to get attention in the media. The person in the photograph should look good, like his or her best self, but one should be able to enter a room with an author and know who the person on the book cover is. The photograph in general should not conflict with what kind of person the writer is or what kind of book has been written. You don’t want an angry face on a book about empathy or an overly cheerful face on the cover of a book about tragedy. You don’t want a bland image either. A good book jacket photograph should make the author look attractive and interesting, like someone you would like to spend some time with. Of course, whom you find attractive depends to some extent upon who you are. All sorts of music, especially classical, folk, jazz, cabaret and what nowadays fall under the rubric “World Music,” songs in French, Spanish, German, Greek, Arabic, Hebrew, several African and Caribbean languages, etc. On my shelves are probably thousands of recordings from just about every continent. I also love to be out in nature, walking in the woods or a meadow, which is somewhat ironic since I live in a crowded city and rarely have the chance to enjoy the natural world. Still, as I write now I hear the twittering of a bird in one of the very few trees outside my window and it makes my urban experience happier. I love animals and have a cat, although I am fond of dogs too and take the opportunity when I leave my apartment to greet dogs being walked in the street by their owners. I feel brighter when I have interacted with a friendly dog. Science—the study of how life, the universe and the human mind work—fascinates me. My other passions are swimming, dancing, singing, and observing babies and small children, in particular as they interact with one another. And travel—experiencing new people and places, and re-encountering familiar ones with fresh eyes. Passions of a different sort are for the environment, and for social justice and the humane treatment of those around us, human or animal, on the planet. It would be hard to assign these an order of importance because my life would be poorer without any of them. All photographs used in this interview are copyrighted by Miriam Berkley and may not be used in any way except with her direct permission. Thanks Eric. An inspiring piece. Great article! Love the photos, too. what an inspiring piece! I think Miriam Berkley is an incredibly talented photographer. A flawless one. I know Miriam personally and she is an absolutely amazing portrait photographer, top in her field. Whether her subject is inherently interesting or seemingly banal, whimsical, serious, human or not, a deeply felt humanity, expressed through an unerring, flawlessly controlled sense of the aesthetic is, to me, the true genius of the photographs of Miriam Berkley. Sometimes the effect is pure magic. The high tension of those competing forces makes for some powerful images that are, for all the complexity that informs them, quite simply, beautiful. It is gratifying to see a life and philosophy so perfectly reflected in the art. Thank you, Eric, for your fine interview with my favorite artist.